Up to 130 hunger strikers protesting for a fourth day against US deportations and conditions at a Washington State immigration facility were being evaluated by medical officials on Monday and could be force-fed, a federal agency said. 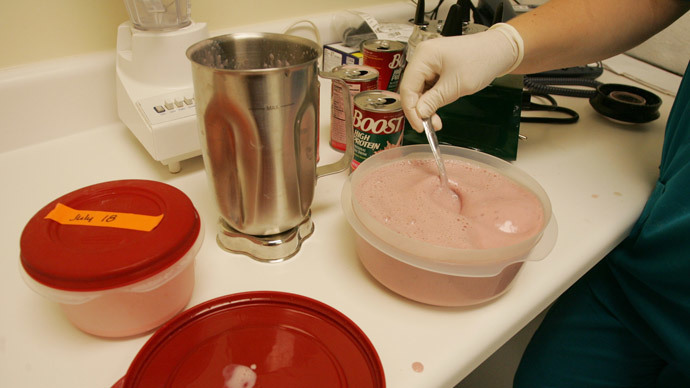 Force-feeding "only happens when it is absolutely medically necessary," Andrew Munoz, an ICE spokesman in Seattle, told Reuters. "The main concern is to ensure [the hunger strikers] remain healthy." Some 130 immigrant detainees out of a total of about 1,300 were refusing food at the privately run Northwest Detention Center, the US Immigration and Customs Enforcement (ICE) said in a statement. 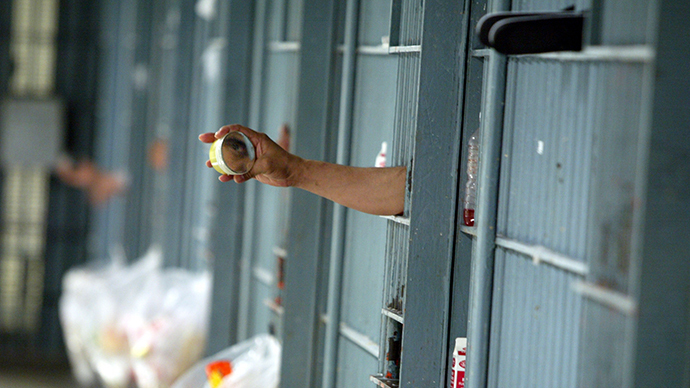 It added that some of the detainees, however, could be consuming food bought from the on-site commissary. The protest comes at a time of heightened national debate on immigration reform, as critics point to the nearly 2 million deportations that have occurred under President Barack Obama. At the same time, they accuse House Republicans of blocking immigration reform. Tensions came to a head last year in California, where prisoners participated in hunger strikes over a two-month period in an effort to draw attention to the policy of holding some inmates in isolation for years. The protests came to an end only after state legislators agreed to hold hearings on conditions at the facility. 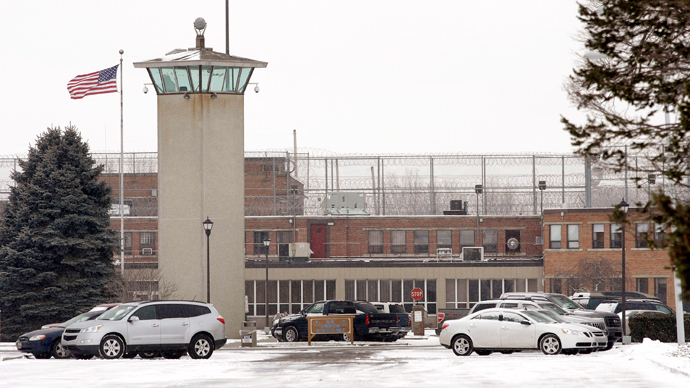 Prisoners at the Washington detention facility are fighting for the end of deportations, better food rations, a raise in the $1-per-day wage for prison work, and better treatment by prison guards, Sandy Restrepo, an attorney who represents several of the strikers, told Reuters. 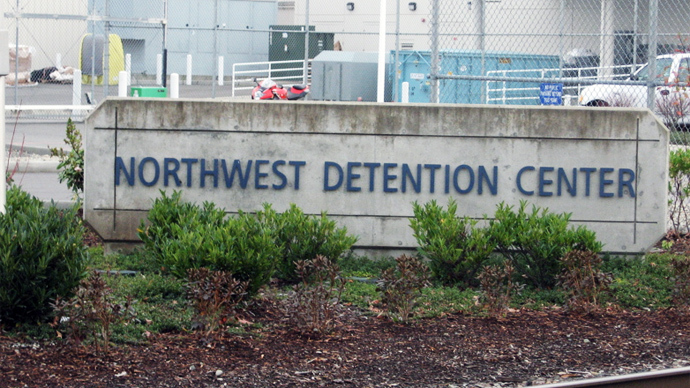 The prisoners at the Tacoma center, which is situated about 30 miles south of Seattle, added that they want their bond amounts lowered, Restrepo said. "They want a negotiation with ICE not just with false oral promises but concrete policy changes," Restrepo said. The operator of the facility, the GEO Group, did not respond to repeated requests for comment, Reuters reported. Supporters of the activists said their current numbers were “significantly higher” than those reported by ICE, but declined to provide an exact figure, saying that ICE has isolated strike leaders from the regular prison population. ICE protocol for detainees on hunger strike for at least 72 hours calls for medical observation, as well as providing them with three meals a day. The protesters participating in the hunger strike reached 72 hours on Monday. If an inmate persists in rejecting food and his life is believed by the medical authorities to be at risk, ICE will seek a court order to induce force feeding.